Construction video production we did of an offshore installation for the City of Los Angeles. 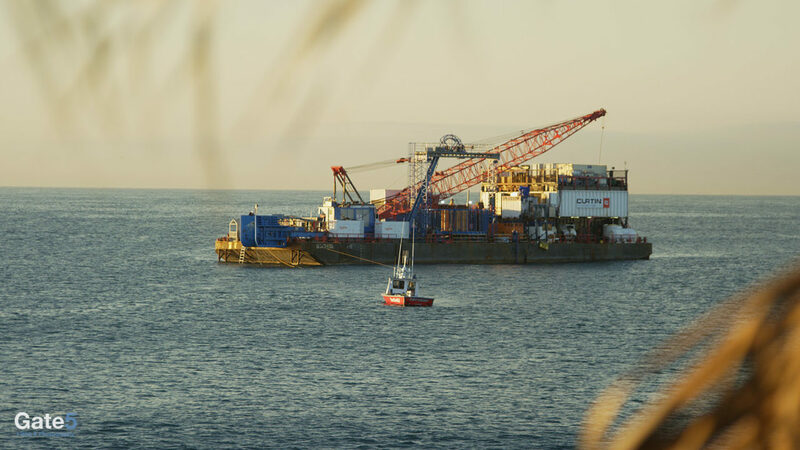 A frame of the barge in the Santa Monica Bay where the installation was taking place. The project is almost finished and as soon as we get the OK, we’ll post the highlight reel taken from the footage of approximately 45 days of filming. The project including filming both offshore and dockside with aerial drone and timelapse footage.